How was the relationship between Pss. Alexandra and Queen Marie of Romania after WWI? I do seem to remember seeing a picture of the sisters together at King Ferdinand's funeral in 1927. I agree, she does deserve her own thread. I've often thought she was the most overlooked of the 4 sisters, and also the prettiest. She didn't make a fabulous marriage like Missy, Ducky, or even Baby Bee, and spend a glamorous life at foreign courts. She married close to home, really sort of back into the family. She also didn't seem to be quite as much of a drama queen as were her sisters. I wonder if QV had a hand in arranging Sandra's marriage to her greatnephew? You think she's the prettiest? I'm not meaning to be snarky (honestly) but why? Her features always seemed really heavy to me and her eyes small. I'm not a fan of Ducky's looks (except her eyes) but I can't see Sandra beating Missy or Bee. She apparently could be quite the drama queen--capable of hissy fits. I was surprised by this as I've always considered her a real dullard. Eric's noted on other threads that she was jealous and whining. She cheated on her husband--who was really a cultured and intelligent man. As I've mentioned before, when you're an ardent (not a misstaken one or a person who feels pressured into joining) Nazi supporter, I just have trouble getting past that. Gottfried (1897-1960); m.1931 Princess Margarita of Greece and Denmark (1905-1981). 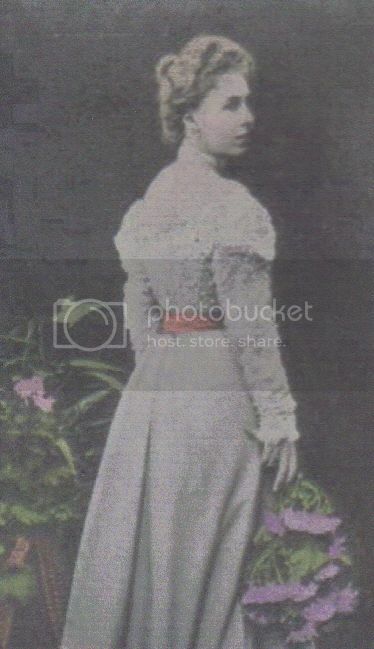 Margarita was the daughter of Princess Alice of Battenberg and Prince Andrew of Greece and thus the sister of Prince Philip. So both were descendants of Queen Victoria (great-grandson and great-great-granddaughter respectively). If I'm remembering correctly Gottfried was involved in the whole Gloria Vanderbilt Sr scandals and was perhaps friends with George Milford-Haven (Margarita's uncle) and his wife Nada and they ran in a pretty fast set. I can't remember it all but I remember in the book 'Little Gloria Happy at Last' Gottfried was mentioned in there--perhaps an affair with Gloria's sister? I'll have to dig around more. 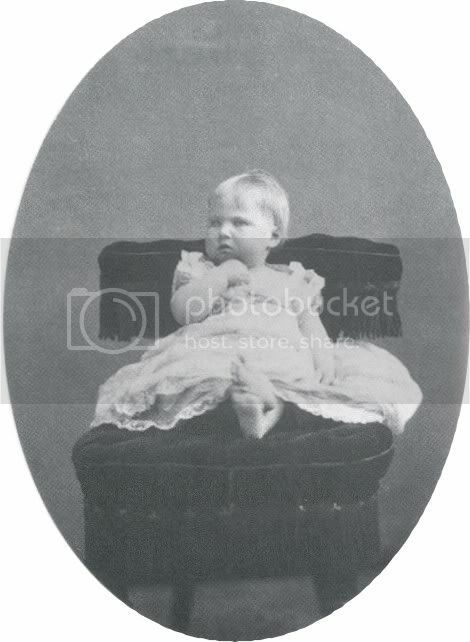 Marie Melita (1899-1967); m.1916 Wilhelm Friedrich, Duke of Schleswig-Holstein (of the Sonderberg-Glucksburg line) (1891-1965). MM was the only one of the daughters to marry and hers was a wartime wedding. He was the son of 'Calma' of S-H (Dona's sister) and thus a nephew of Dona. The Coburgs were much involved with the German rulers which could be how the 2 met. 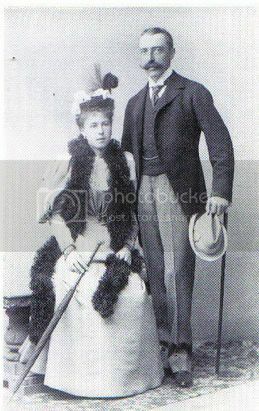 He was the brother of Victoria Adelhaid (who married Sandra's cousin Charles Edward, Duke of Coburg), Alexandra Victoria who married Dona's son August Wilhelm, Helena who married Prince Harold of Denmark. So Pss. Alexandra cheated on her husband and even told her mother that he was an Idiot. He seemly was in love with her and had to convince the Grand Duchess Marie to allow him to marry Alexandra. Were they reconciled after the affair? If I'm remembering correctly Gottfried was involved in the whole Gloria Vanderbilt Sr scandals and was perhaps friends with George Milford-Haven (Margarita's uncle) and his wife Nada and they ran in a pretty fast set. I can't remember it all but I remember in the book 'Little Gloria Happy at Last' Gottfried was mentioned in there--perhaps an affair with Gloria's sister? I'll have to dig around more. Gottfried was engaged for a time to Gloria Morgan Vanderbilt (Gloria, Sr.), in 1927, I believe. Anyone know what Alexandra thought about this? Anyone know why these two never married? Probably not a lot. However, I am not sure if this engagement was actually official, as it was unlikely that Gottfried's father never would have approved of it. Well, that would be something private, don't you think as the two women were not public officials. Victoria Melita aka Ducky would rather frustrate one.